Neil S. Grossman, Ph.D., ABPP, is a clinical and forensic psychologist specializing in children and families. Dr. Grossman is a Fellow of the American Psychological Association and the Academy of Couple and Family Psychology. He has a Diploma in Family Psychology from the American Board of Professional Psychology and he specializes in working with children and families as well as the area of forensic psychology. Dr. Grossman was on the faculty of St. John’s University and taught as adjunct faculty at C. W. Post, Hofstra and Pace Universities. He also was faculty in the Family Therapy program of the Long Island Institute of Psychoanalysis and the Pederson-Krag Psychotherapy Institute. Dr. Grossman chairs the Psychology and Law Committee of SCPA. 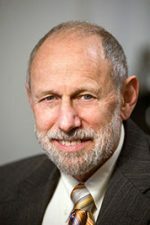 He is the President of the Parenting Coordination Association of New York; Past President of the Forensic Division of NYSPA, the Academy of Family Psychology, Council of Specialties in Professional Psychology. He was a Board Member of the American Board of Professional Psychology, American Board of Family Psychology, Division of Family Psychology, New York State Psychological Association, and Suffolk County Psychological Association. The forensic part of his practice is focused on collaborative divorce, divorce mediation, parenting coordination and the family’s recovery from divorce. He assists families to create durable parenting plans and solve parenting issues.